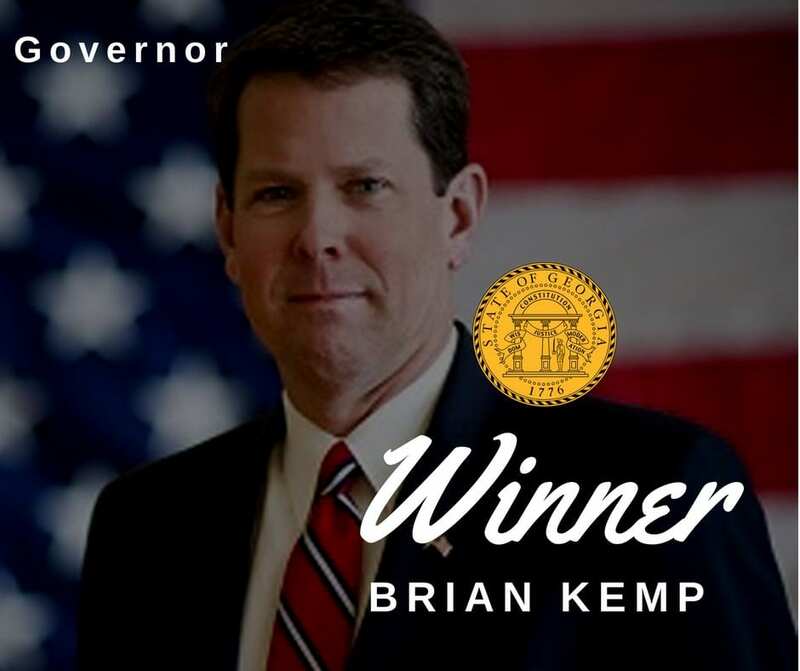 Blue Ridge, Ga. – After a heated runoff race, the results are in and Georgia’s Secretary of State Brian Kemp has beat out opponent Lt. Governor Casey Cagle for the Republican nomination. What was polled as a tight race between the two candidates ended up being what some would consider a landslide victory for Kemp. Kemp received 69.46 percent of the vote statewide with Cagle pulling in 30.54 percent. Kemp will now face the Democratic nominee Stacey Abrams for the seat of Georgia Governor. Abrams and Kemp are not strangers, as they have gone head to head over election issues while Kemp has served as Secretary of State. “All of these liberal groups that are going to be in play in Georgia supporting her (Abrams), I’ve fought,” Kemp said about his past experiences with Abrams. Citing that he has already faced George Soros, Eric Holder, Thomas Perez, Common Cause Georgia and New Georgia Project, Kemp is confident that he can beat them again.